This afternoon after school, I used the free iPad app Touchcast to create my first “Curiosity Links” video. This is a short (5 minute) video sharing some websites and apps we discussed this week in STEM class to spark student curiosity. Check it out! This video and these links are available on the “Curiosity Links” page of my STEM curriculum site. 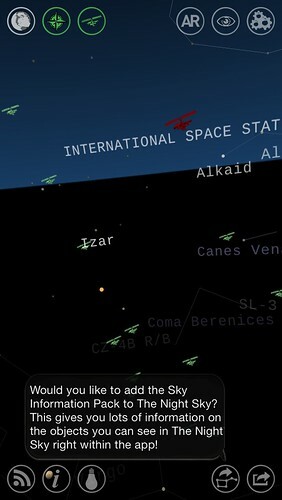 As I mentioned in the video, the International Space Station actually passed over Oklahoma during one of my afternoon classes today, and the students “saw it” virtually using both the ISS Tracker website as well as the “Night Sky” app on my iPhone. Boy were they excited! Several are going to use the Spot the Station by NASA site over Spring Break next week to try and catch a glimpse of the ISS in person! If you’re interested in STEM lesson ideas, please join Brian Crosby and I next week on Tuesday (March 18th) for a Google Hangout with STEMseeds! RSVP and get the join link for the video on the Google+ event page.